I received this book for free from BookSparksPR in exchange for an honest review. This does not affect my opinion of the book or the content of my review. In this sequel to Doon, Mackenna Reid realizes she made a horrible mistake in choosing to follow her dreams of Broadway instead of staying in the enchanted land of Doon. To make everything worse, she's received her Calling—proof she and Duncan are each other's one true love—and it's pure torment, especially when visions of the very alluring Scottish prince appear right before she goes on stage. So when Duncan tells her an ancient curse threatens to overtake Doon and the new queen and Kenna’s best friend, Veronica, needs her to return, Kenna doesn't have to think twice. With darkness closing in on all sides, Kenna and Vee must battle a world of nightmares in order to protect the kingdom. But it will take the ultimate test of courage for Kenna to salvage her happily ever after. The Doon series is one of my all-time favorites. First of all, if you haven’t read book one, a reimagining of Brigadoon, I would suggest picking it up before diving into book 2. There is a lot of back story you will need, plus it rocks! 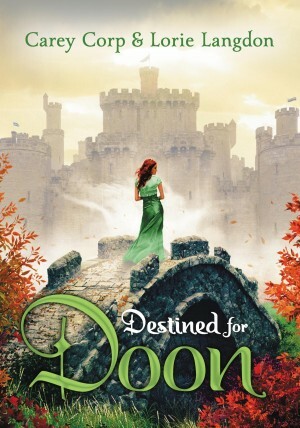 This second installment, Destined for Doon, is told from both Makenna and Vee’s viewpoint. Kenna is back in the modern world working as a theater intern whe Duncan MacCrae shows up on the scene, as handsome and brooding as ever. There’s trouble a foot back in the kingdom–poisoned petunias, a zombie fungus and evil threatening the borders. Kenna is summoned by her best friend Vee to look for a solution. Once again there are plenty of modern culture– music and movie references, as well as the snarky voice that is Kenna. The romance element is toned down quite a bit as the four main characters are working through their own personal issues while trying to learn how to work together. But there is also tension, suspense and realistic angst. I truly loved Duncan in Destined for Doon. He is suffering and quiet, but at times his fun sense of humor peeks through the clouds. This is a series that brings midieval Scotland with kilts and swords right into your reading room. There are Christian elements which strengthen the characters. Themes are forgiveness, self-doubt, healing and trust. As handsome and talented as this group of young adults are, they learn they simply can’t do it alone. I personally am thrilled this is a four book series, because I always end wanting more! Major cliffhanger ending this time around with foreshadowing to set things up. Go grab Doon and then Destined for Doon! Content: moderate sexual tension and kissing scenes, drinking, moderate violence with a beheading. Clean language. Carey Corp wrote her first book, a brilliant retelling of Star Wars, at the prodigious age of seven. Since then, her love affair of reinvention has continued to run amuck. Writing both literary fiction and stories for young adults, she begins each morning consuming copious amounts of coffee while weaving stories that capture her exhaustive imagination. She harbors a voracious passion (in no consistent order) for mohawks, Italy, musical theater, chocolate, and Jane Austen. 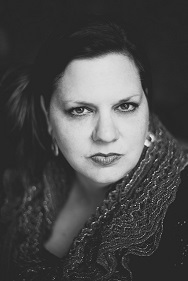 Her debut novel for teens, The Halo Chronicles: The Guardian, earned her national recognition as 2010 Golden Heart finalist for best young adult fiction. Coming August 20, 2013: Doon (book 1 of the DOON series), a young adult novel loosely based on the concept of the musical Brigadoon, used with permission from the Alan Jay Lerner Estate & the Frederick Loewe Foundation, and co-written with Lorie Langdon. 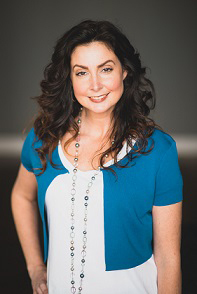 A few years ago, Lorie Langdon left her thriving corporate career with a Fortune 500 company to satisfy the voices in her head. Now as a full-time author and stay-at-home mom, she spends her summers editing poolside while dodging automatic water-gun fire, and the rest of the year tucked into her cozy office, Havanese puppy by her side, working to translate her effusive imagination into the written word. Her co-written four-book series, DOON, a YA reimagining of the Scottish legend of Brigadoon, will release beginning in August 2013 from Zondervan/Harper Collins.